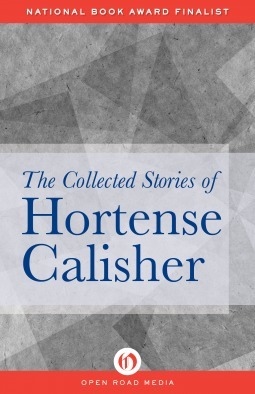 This was an introduction to Calisher’s writings for me, and while I appreciated her skills, I didn’t particularly enjoy reading most of these stories, particularly not in one continuous span, making it somewhat difficult to review. I could envision this being a book I’d like having a copy on hand to read from in small doses, or when wanting to study some masterful (albeit convoluted) portrayal of character. Calisher’s stories are dense, and as it says in one of the introductions to this collection, you have to enjoy thinking in order to appreciate this. It can’t simply be browses, or read lightly. The stories almost all feature family and social dynamics in well-to-do New York city families, told in wandering, elliptical and often dispassionately reminiscing voice. This style creates a certain disconnect between the inherent, detailed humanity of her characters and the obtuse, cold fashion those emotions are related. Not unlike reading an academic discourse on the history of some tragedy, the style makes things distant, whereas the events and people described beg for close proximity. Verbose and full of flowery latinate vocabulary, with foreign phrases of the upper class flung about to convey sentiments and mots justes not easily translated into English, Callisher even comes across as pretentious, populated with pretentious characters. Yet, that is the kind of world she is writing about, and using the styles of that world to communicate some basic emotions and conditions. Despite all the challenges of her style, Callisher still manages to write with an easily noticeable beauty and rhythm. Her paragraphs have a cadence, some extending long, but then followed by one short. Her phrasing and choice of specific words gives the Academic, dispassionate text a certain poetry that makes it a little more empathetic and relatable, most particularly in her use of alliteration. The opening story to this collection was easily my favorite, it contained a ‘plot’ and character explorations beyond the mundane family interactions and social atmospheres of upper crust NYC. Speckled throughout were others that I found fantastic, but most began to feel tedious. If you have a fond regard for literary prowess or the subject of Callisher’s writings (NYC) then this is just for you. If you simply enjoy a wide range of short stories and artistic writing then this may be something good to dip into on occasion without trying to barrel through.